NOTE: This post was originally a page on the blog located at mHealthInsight.com/mHealth-Symposium. The event has now concluded and the page has been converted into a post dated to the close of the meeting as a record of the first international mHealth meeting to be hosted in Ireland. We would like to thank everyone who contributed to make the meeting and networking such a success especially the great speakers, sponsors, organisers (the Healthcare Informatics Society of Ireland and HIMSS), delegates and people of Dublin who provided their fabled levels of hospitality to make eHealth Week such an occasion. Click here to read the review post from the event including videos and podcasts of key talks. We’re approaching the ‘Mobile Moment’ – the point in time when mobile penetration per capita = 100% and when mobile becomes the first ever technology that is as widely distributed as mankind! The Mobile Industry today is the newest Trillion Dollar Industry and practically every major mobile operator has a mHealth program in place and leaders in the field have already invested more than $1 Billion on the opportunity. mHIMSS a new member community of HIMSS, an organisation that represents 55,000 Healthcare IT Professionals from across the globe, will be hosting the mHealth Symposium as a dedicated part of the European eHealth Week designed to educate European healthcare leaders about industry best practice and introduce them to the most innovative ways that mobile (the newest mass media) is being leveraged to transform health. Visit the Kaiser Permanente website. Watch a video sharing Kaiser’s future vision of Healthcare. Follow Dr Johnny Walker on Twitter, Visit the website of the Hermitage Medical Clinic and HealthFounders and click here to watch Dr Walker explaining the opportunity we have to reinvent Healthcare and the capacity Ireland has to support global mHealth innovation. Click here if you would like to enquire about the possibility to attend at a discounted rate. Click here to register yourself for the full eHealth Week Conference (includes the mHealth Symposium). 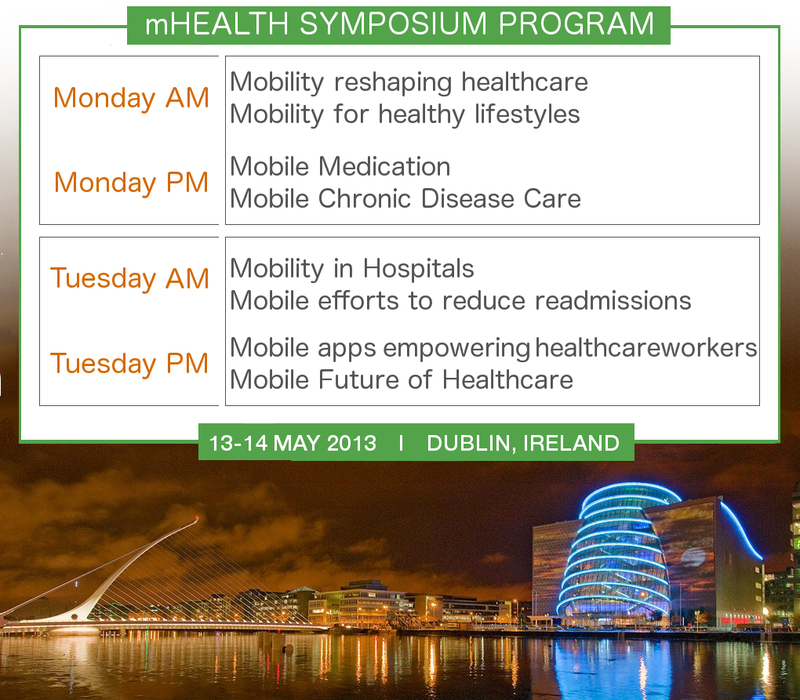 Click here if you would like to enquire about presenting at the mHealth Symposium Deadline for admissions is Friday 8th March 2013. Being held at the brand new Convention Centre in Dublin from the 13-15 May 2013, this event will bring 2,500 healthcare industry leaders to Ireland for two main events: the High Level eHealth Conference organised by the European Commission and the Irish Presidency of the Council of the European Union and WoHIT (World of Health IT Conference & Exhibition) organised by HIMSS Europe.